Have you ever wondered if acupuncture treatment for macular degeneration could help your vision? And if so, what is involved and how often does one need to be treated to see some results. Andy Rosenfarb, ND, L.Ac. 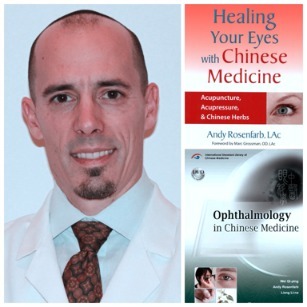 the author of Healing Your Eyes with Chinese Medicine: Acupuncture, Acupressure, & Chinese Herb and clinic director of Acupuncture Health Associates has treated thousands of patients with macular diseases. In an e-interview he shares with us how macular degeneration can be improved using acupuncture as well as other recommendations for using naturopathic approaches and Chinese medicine. 1. 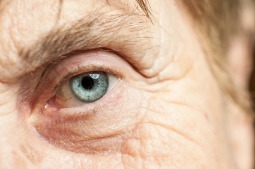 Can Macular Degeneration be improved? "You're sitting in your chair and your doctor does this eye exam and tells you, It seems as though you've got macular degeneration." Most people's response is, "What ís that?" " Well, it's an incurable eye disease and you're going to lose your vision. What? It's almost as bad as a cancer diagnosis. The next question that people ask is, What can we do about it? The conventional response is, "Nothing." You can take some vitamins or supplements but there's really no conventional treatment at this time - meaning no drugs and no surgeries. However, from our Chinese Medical perspective and naturopathic approach, there's definitely a lot that we can do to recover lost vision and slow and/or arrest the degenerative process. 2. 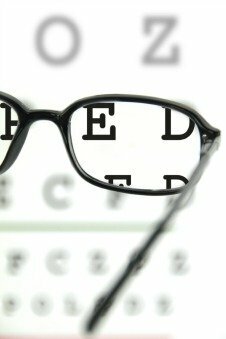 What are the chances of someone gaining their vision again? Dr. Andy Rosenfarb: About 85 to 90 percent of my patients have some improvement in their vision within the first round of treatment - 5 consecutive days of acupuncture. 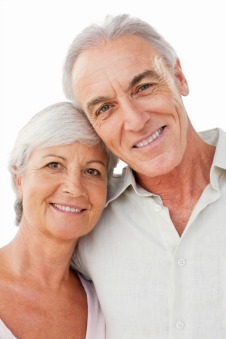 Generally for macular degeneration patients, there's some degree of distortion in their visual acuity. When patients come in, they'll read a certain line on the eye chart and usually will see an increase of about 2 to 5 lines (or more) after 5 days. The ones that are in really bad shape can often increase 6, 7 or 8 lines. Results depend on how far the condition has progressed and how much damage has been done to the macula. Overall, there's definitely a lot of improvement that can be made. 3. How do you measure the effectiveness of the acupuncture treatments? Dr. Andy Rosenfarb: I think this is a very important question and point to consider. The keyword here is MEASURE, period We learned earlier on that a lot of patients were saying, "Yeah, well, I think I see better." We then decided to adopt some of the conventional measurement strategies to confirm improvement. In our office, we do a visual acuity test, which is basically using the eye chart, as well as a functional visual field test. For macular degeneration, the central vision starts to go and people have anywhere from mild distortion to a total loss of vision in their central visual fields. This means there's going to be difficulty with sharpness and reading, as well as driving and face recognition. We'll look at things like the acuity visual fields to determine the degree of functional loss. We also will look at the results of the Amsler grid test, which is another functional test. I typically send patients back to their ophthalmologists and their retinal specialists to get OCT and Fundus exams to monitor any physiological and structural improvements in their macula. We want to see how the drusen is progressing, if it's getting more or less. In summary, we'll use a combination of our in-house functional testing along with the ophthalmologists and retinal specialists who really confirm stabilization as well as vision improvement. 4. How many sessions does someone need before they see improvement? Dr. Rosenfarb: It depends. I like to see improvement within five days of treatment. Generally my patients come in for intensive daily treatment. That means I treat them every day for a period of five or ten days. Usually most patients will see some improvement within that five-day period. We'll do testing before we start to create a baseline. We do a series of treatment over five days, then we'll retest. Most cases within that time (or even sooner, like after two or three days), will see some form of measurable improvement. 5. How does the treatment of an early-stage patient differ from a later-stage patient? Dr. Rosenfarb: Generally, earlier stage patients will have a much better prognosis because there usually hasn't been any nerve damage. Sometimes there's cholesterol buildup or what we call drusen in the eye. That's usually the first stage or AMD. During that stage, there's no nerve death, visual abnormalities and/or dysfunction. There may be mild distortion if anything. Those patients will usually do well because we see them at an early stage, as well as a lot of we can usually prevent visual loss. Later-stage patients will do great as a lot of, it's just that there is a higher probability that there may be some degree of permanent damage from scarring, as well as a lot of fibrosis buildup in the macula. We do the best we can and a lot of cases, there's a lot that can be done. 6. Is there a stage in the disease too advanced for acupuncture? Dr. Rosenfarb: After treating patients for fifteen years, I don't believe any AMD is so advanced that treatment will not help. It's worth a try. Like I mentioned before, 84% of my patients that come get treated by me leave with better vision than when they arrived. 7. How long does the recovery process take? Dr. Rosenfarb: First signs of improvement can be usually seen within 5 days. Some more advanced cases may need 10 days. The dormant retinal cells recharge and we'll see an improvement almost immediately, usually within a couple of days. The long-term regeneration of damaged nerve cells or retinal cells can take maybe 8 to 15 months on average. Nerve cells do regenerate but at a very slow rate. We have the scar tissues and the dead nerve cells which, to the best of our knowledge, cannot be recovered. However, you don't know what is dead and what is dormant just by looking at the back of the eye through a fundus camera. We need to do acupuncture to stimulate ocular blood flow to the retinal cells to see how the eye responds. Usually after about a year or so, whatever gains someone has made at that time is pretty much what you're going to have. 8. Would more treatments help improve the results even further? Dr. Rosenfarb: People need varying degrees of frequency and intensity. 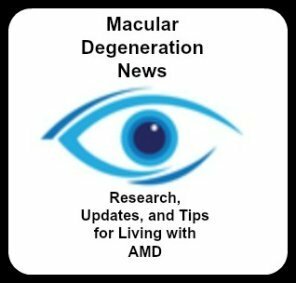 For macular degeneration and most neurological conditions in my experience, it's not necessarily more treatments, but it's in more frequent intensive bursts of treatment. For example, we'll treat patients two, sometimes even three times a day initially, just to see if we get a positive response. We want to get a really clear indicator to see if the person is going to respond or not. I don't want to drag people along who may not respond to acupuncture. Within that short time frame, we can see if there's a measurable response. If there is, we can continue; if not we go no further. More isn't necessarily better. For example, when we treat people for two weeks at a time, a lot of people are asking if they can stay for three or five weeks. It's not necessarily going to help. We need a little time to rest because that's when our body recovers. 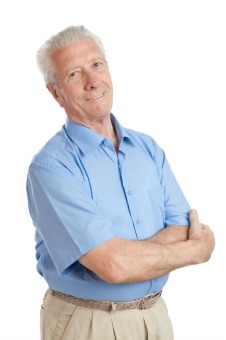 We usually have patients come back sometimes six weeks or sometimes three months later for another round. That seems to be the most successful way to treat macular degeneration in my experience. Thank you for doing the interview for us. What is the next best step for someone who is wanting more information about acupuncture treatment for their macular degeneration? Dr. Rosenfarb: Thanks for having me. I really enjoyed doing the interview. My best suggestion is that they first start with our free book called Acupuncture Treatment for Macular Degeneration to learn more about how acupuncture is restoring vision with our patients. It is our brand new book explaining how acupuncture is an effective treatment plan for Macular Degeneration. You could go to Amazon and buy the book for $14.95 but I've decided to give it away for a limited time. No charge. No obligation. If someone then decides that they would like to be treated by me, they can call my office at (908) 264-5484.